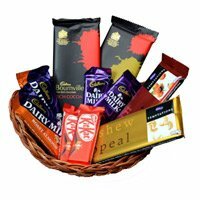 Buy Diwali Gifts to Mumbai at Mumbai Online Gifts, as Diwali is very auspicious festival so we can bring wide variety of Gifts along with sweets to celebrate Diwali in Mumbai with happiness. Diwali is an Occasion for families and friends to meet and to give the sweets and Gifts to each other. Diwali, the festival of Light and Sound, is one of the most awaited festivals in India. Diwali Celebrations in Mumbai commence with Dussehra, On Diwali Day, most shops in Mumbai remain open till mid-night, propagated by the belief that good sales on this auspicious day predicts a prosperous year ahead. In all sector on Diwali, the process of buying and distributing Diwali gifts begins several days before the big day, and slowly picks up pace. Sweets and dry fruits are the most common gifts to send Diwali gifts to Mumbai, as are silver coins on Diwali. 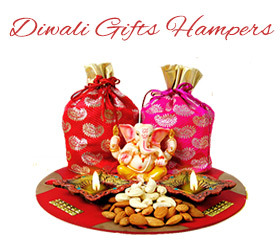 We offer all kinds of Indian gifts and Sweets to send online to Mumbai. Traditionally, Diwali gifts are sweets, decorative items, gold or silver coins, idols of Lord Ganesha or of Goddess Lakshmi etc. Place order to send Diwali Gifts to Mumbai, Diwali Sweets to Mumbai, Diwali Dry Fruits to Mumbai, Deepawali Gifts to Mumbai, Gifts to Mumbai. We also Deliver Thane, Vashi, Panval, Navi Mumbai.